January CZ Bezel Drop Sterling Silver Charm $0! February CZ Bezel Drop Sterling Silver Charm $0! 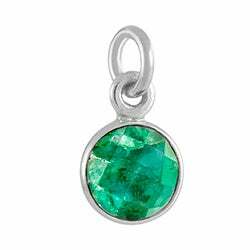 March CZ Bezel Drop Sterling Silver Charms $0! April CZ Bezel Drop Sterling Silver Charm $0! 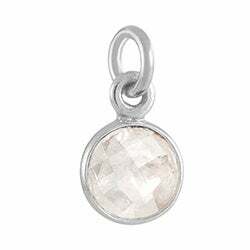 May CZ Bezel Drop Silver Charm $0! 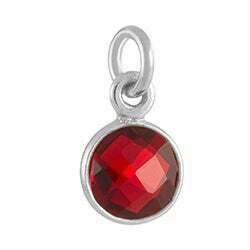 June CZ Bezel Drop Sterling Silver Charm $0! 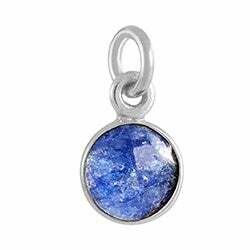 July CZ Bezel Drop Sterling Silver Charm $0! August CZ Bezel Drop Sterling Silver Charm $0! 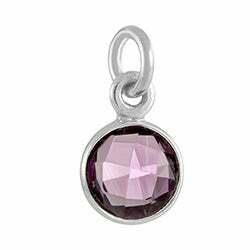 September CZ Bezel Drop Silver Charm $0! October CZ Bezel Drop Silver Charm $0! November CZ Bezel Drop Sterling Silver Charm $0! December CZ Bezel Drop Sterling Silver Charm $0! 1/4" Sterling Silver Heart Tag for Hand Stamping $0! The Personalized Hand Stamped Silver Heart Mini Initial Birthstone Necklace is a great birthstone gift! The necklace can feature one hand stamped initial heart charm, all the way up to six hand stamped initial heart charms. Choose to add as many hand stamped initial charms as you would like, each initial can represent someone who is important to you. The hand stamped engravings can be done in one of two fonts including modern or script font. Pair each hand stamped charm with a 1/4 inch birthstone circle charm. The birthstone charms can represent all the birthdays of the people who's initial you are wearing. This custom Hand Stamped Silver Heart Mini Initial Birthstone Necklace is delivered with a 16 inch silver rolo chain with a 2 inch extender. Custom-made for you the hand stamped heart charm and birthstone charm necklace may vary slightly from the image.